In recent times, the vast majority of individuals recovering from a disabling illness, surgery or injury would have completed their care in the hospital. Today that has changed. Even when patients’ conditions remain functionally limiting and clinically complex, time spent in the hospital has decreased dramatically. 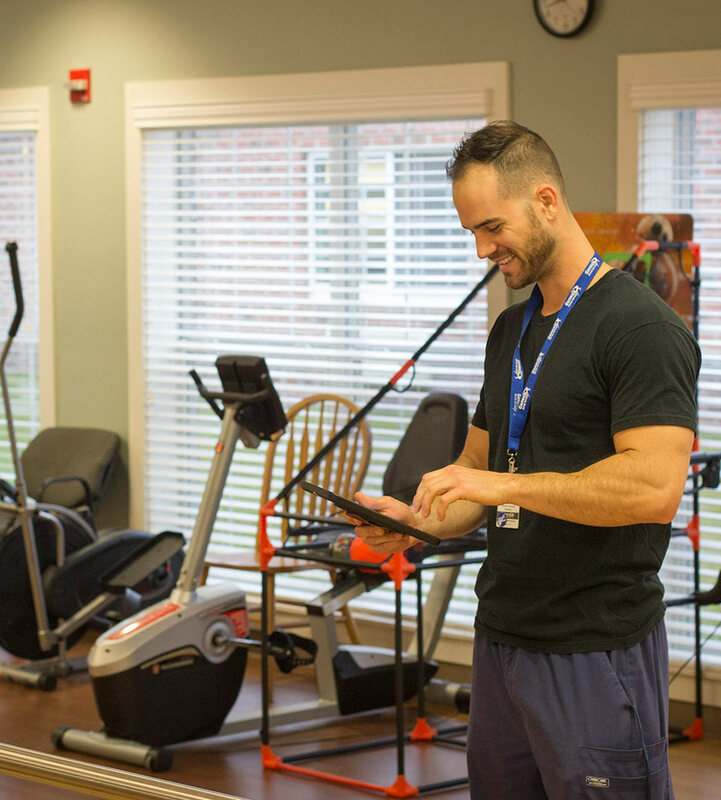 More than ever, our community relies on Woodbury Wellness and Rehab for rehabilitation and other services they need to complete their recovery and return home. Our rehabilitation program is as unique as the residents we serve. Our team, including our doctors, nurses, therapists, dietitians, social services and support staff, work with residents and families to meet each individual’s specific needs. We offer personalized care planning for residents who are recovering from surgery, illness, accident, injury, or disease to facilitate their healing process and enhance their quality of life. With Medical Provider services daily if needed, on-site Nutritional Services, on-site Therapy Services, and other services such as X-rays, labs, and counseling provided right here on our campus. The goal is to return you or your love one to a home environment that will be focused on with intensity with discharge planning beginning the day you arrive. Our Short Term Rehabilitation service offers specialized pharmacy services with an optional 30 day supply of ordered medications upon discharge, follow-up physician appointments made for you before returning home, and ongoing support from our clinical and social services team after discharge. We will all work together as a team to help ensure that you have a successful transition back to your home as soon a possible, and with all the tools you need to help you stay healthy once you get there. 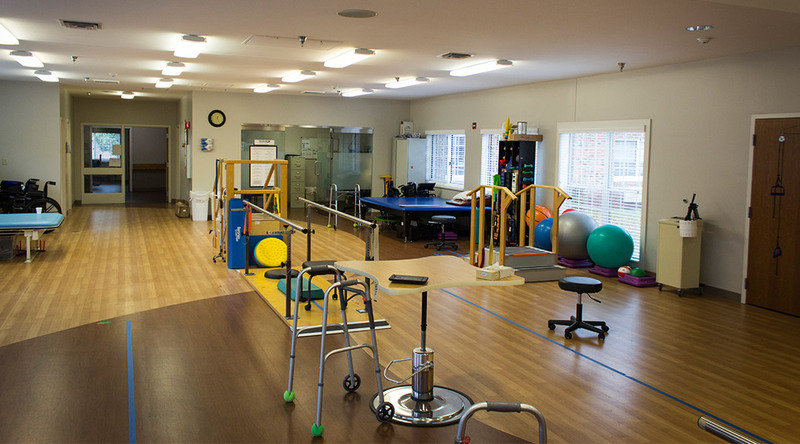 Why Choose Woodbury Wellness and Rehab for your Short Term Rehab Needs? Physical therapists help to improve the ability to walk, climb stairs, range of motion, and balance. During your stay, you may also be evaluated by an occupational therapist. 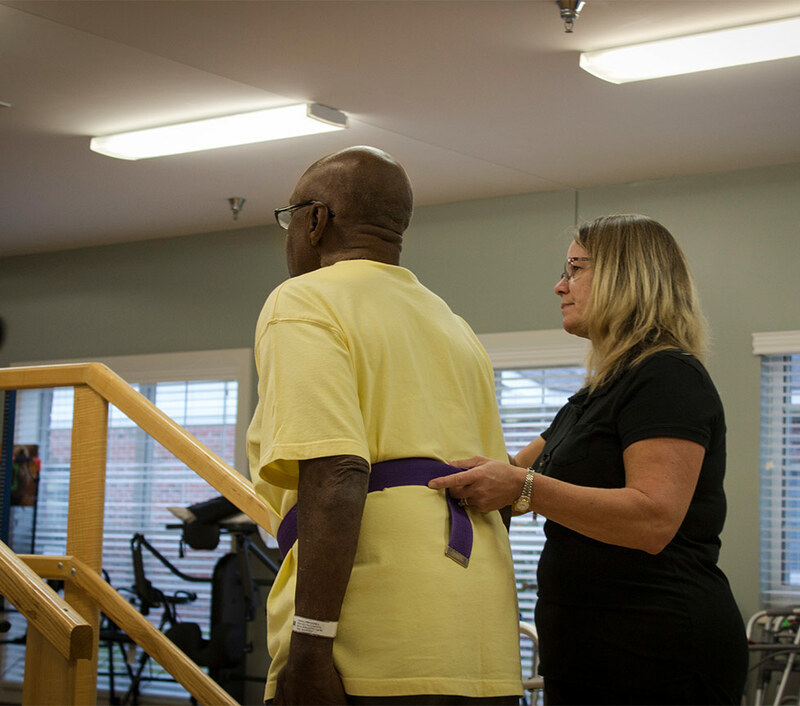 Occupational therapists help patients to regain independent living skills, including dressing, feeding, toileting/self-care, cooking, writing, and medication management. Occupational therapists also have a special expertise in splinting and evaluating for special adaptive equipment. Your occupational therapist will tailor a treatment plan based on your specific needs and deficits. Speech-Language Pathologists specialize in evaluating and treating speech and language impairment, swallowing disorders, cognitive/dementia issues, and voice or articulation disorders. Your speech-language pathologist works closely with the rest of the interdisciplinary team to help you regain your independence. Do you have an upcoming surgical procedure? Feel free to pre-register for your short-term rehabilitation stay at Woodbury. 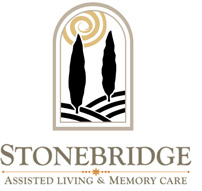 It will be one less worry knowing Woodbury is here to be your bridge between hospital and home. Contact Us to plan your stay.